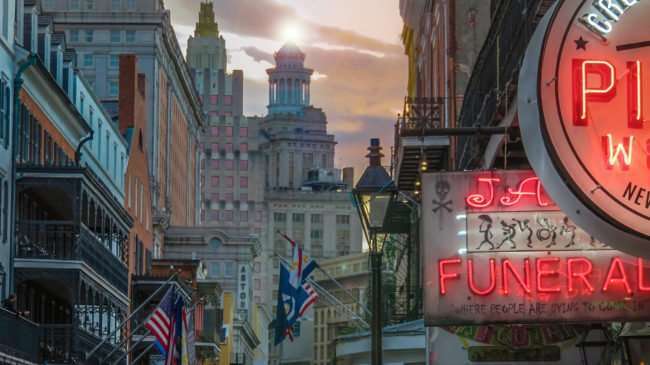 Bourbon Balconies is a booking company that features fifteen different balconies for rent that run along the historic Bourbon Street in the French Quarter. 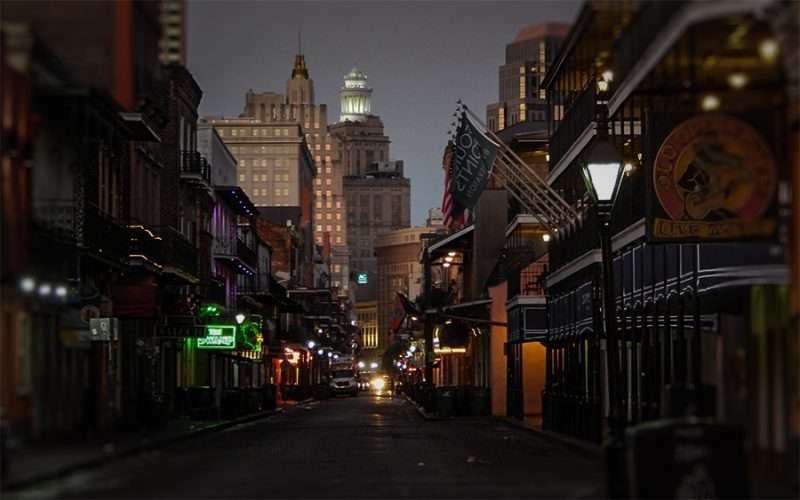 Whether its for a private party or for the world famous Mardi Gras celebration, Bourbon Balconies is the best choice for party space rentals in New Orleans. 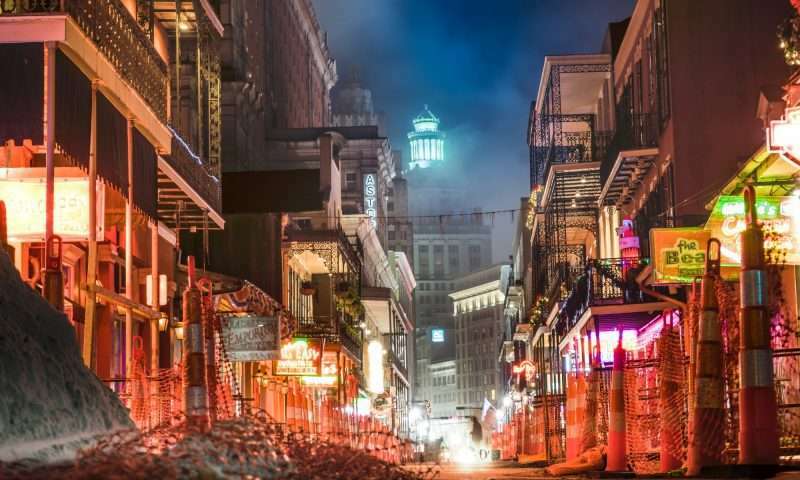 NEW ORLEANS, LA – Hibernia Tower Apartments with its popular cupola tower is featured in background shots in many shows such as The Originals that was shot mostly on Bourbon Street in New Orleans, LA. 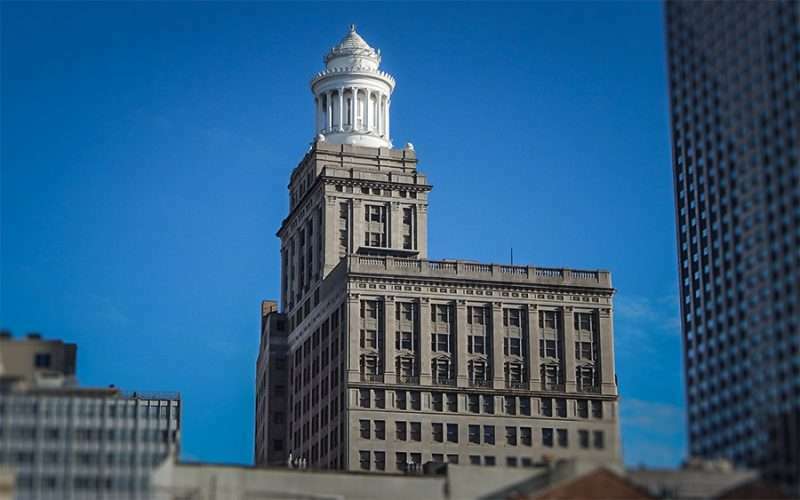 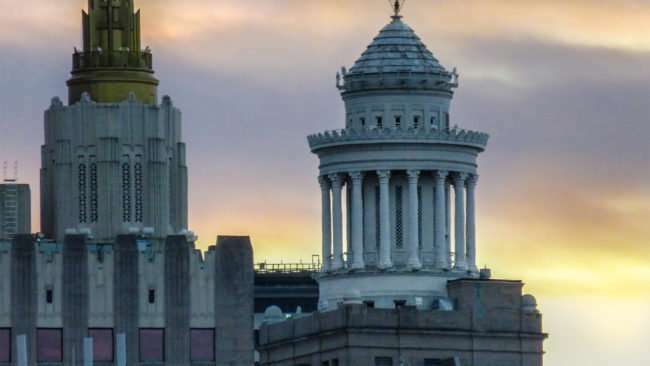 Cupola defined: a lighted dome or roof that serves as a beacon of sorts and a lantern for the structure. The tower once served as a beacon for ships navigating through the Mississippi. Today, during the Holidays, the tower is lit up with red and green lights. 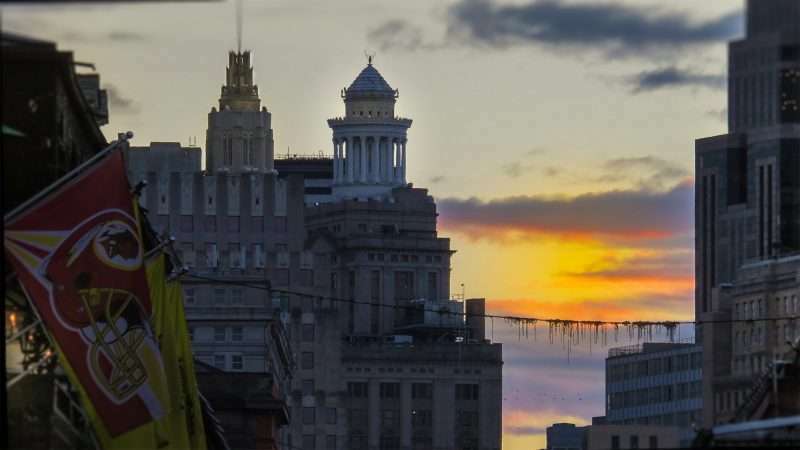 And for Mardi Gras it’s purple, green, and gold that can be seen all over the downtown area. HRI Properties renovated the offices into 175 apartments for $63.3 million and move its corporate headquarters here. 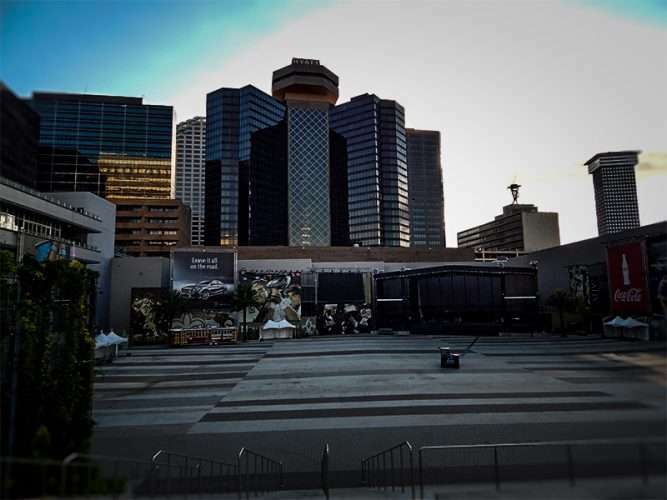 NEW ORLEANS, LA – Champions Square is a outdoor concert and sports entertainment venue adjacent to the Mercedes-Benz Superdome in New Orleans, LA. 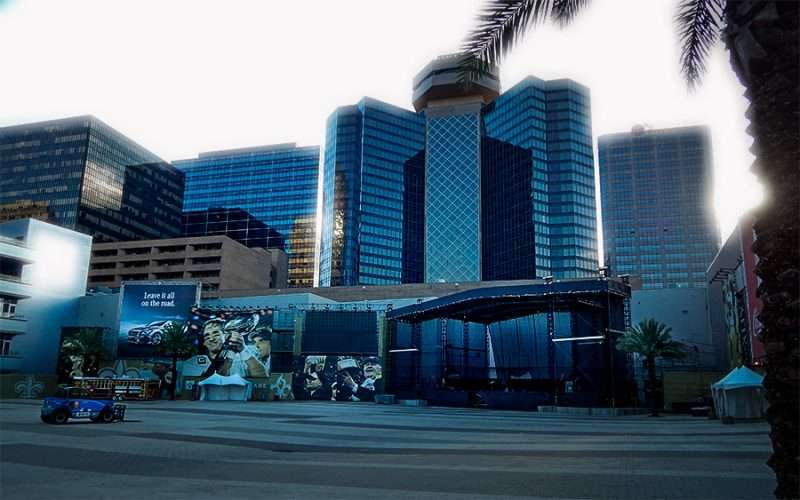 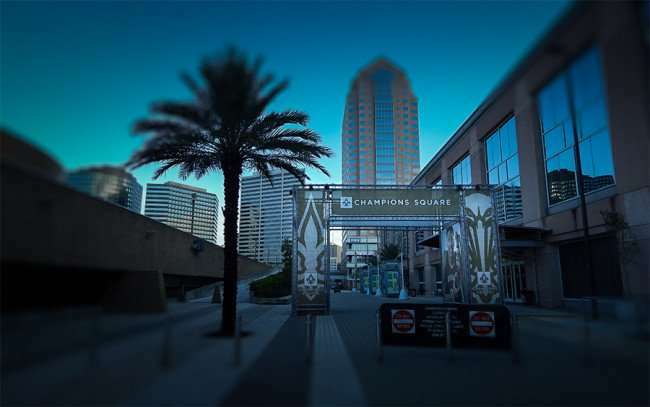 Champions Square was built after the Saints won the 2010 Super Bowl. 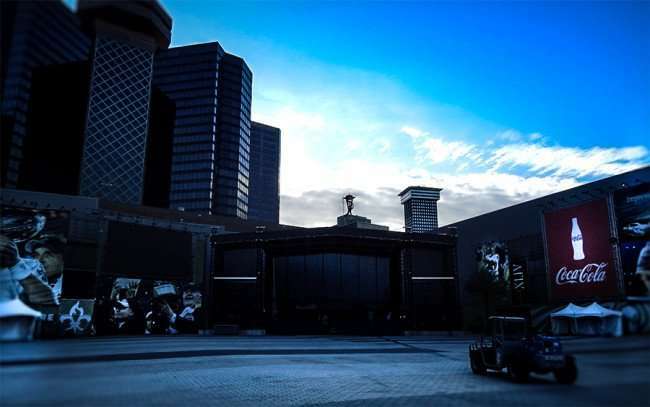 It replaced the former New Orleans Center Shopping mall after a 13.5 million renovation project. 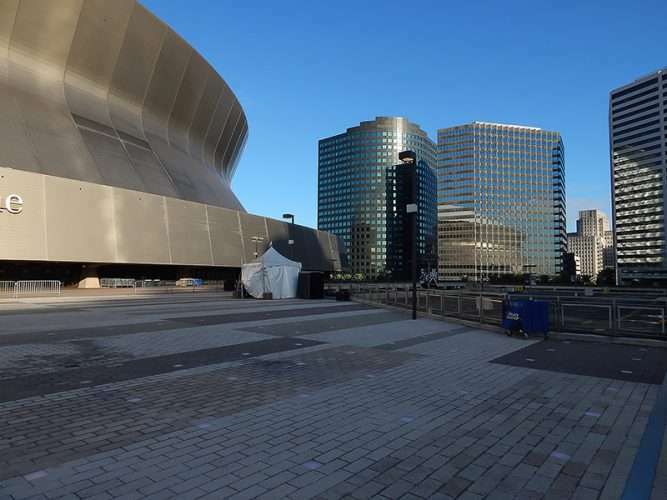 The developers involved in the renovation project were the New Orleans Saints and the Louisiana Stadium and Exposition District. 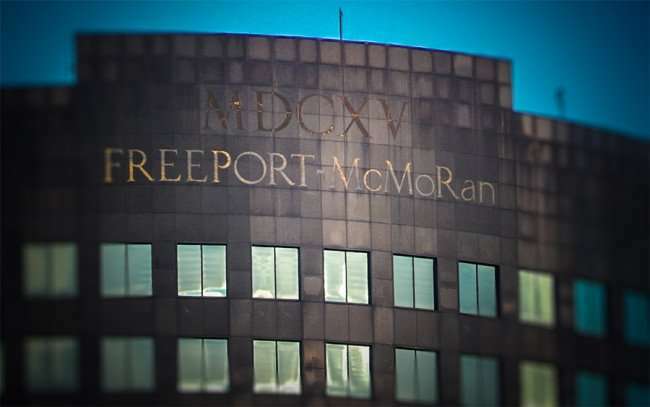 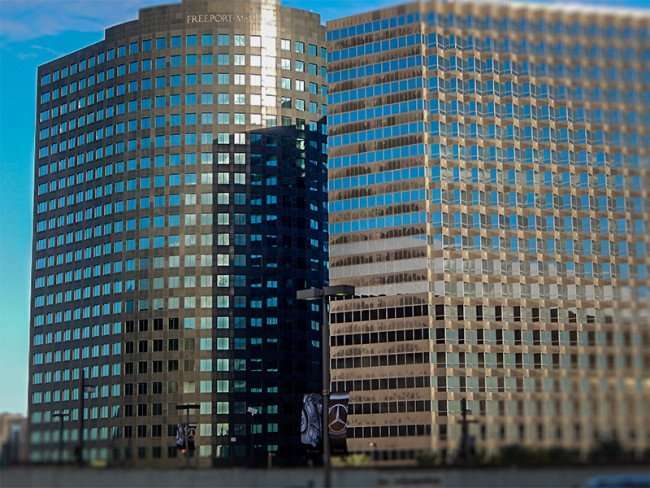 NEW ORLEANS, LA – The Freeport McMoRan Building is a 23-story office and retail building completed in 1984 in New Orleans, LA. 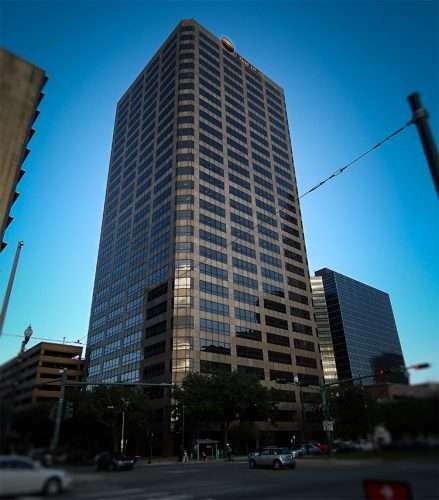 New Orleans, LA – Entergy Tower is 360 feet, 28-story office tower built in 1983 in New Orleans, LA.